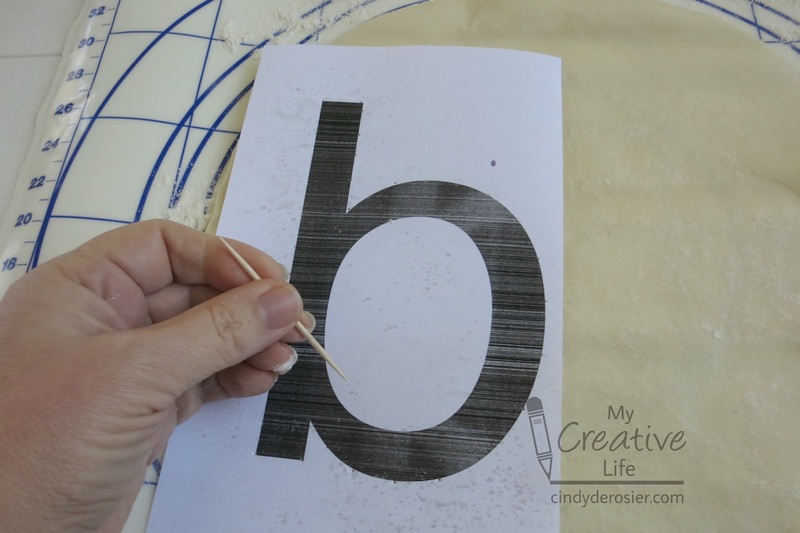 I started by printing the letters BAKE on paper. 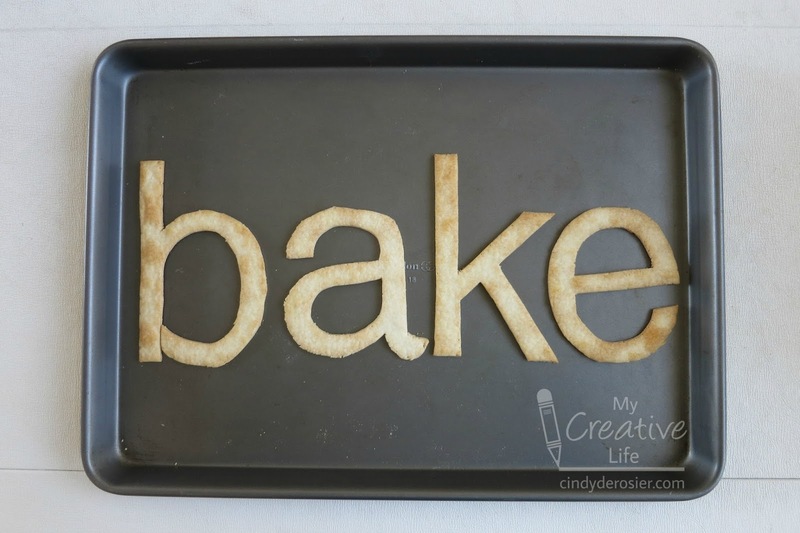 I rolled out pie dough, placed the first template on it, and used a toothpick to poke all around the edges of the letter. 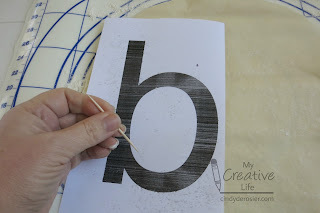 Remove the template, then use a knife to cut out the letters, following the poked holes. 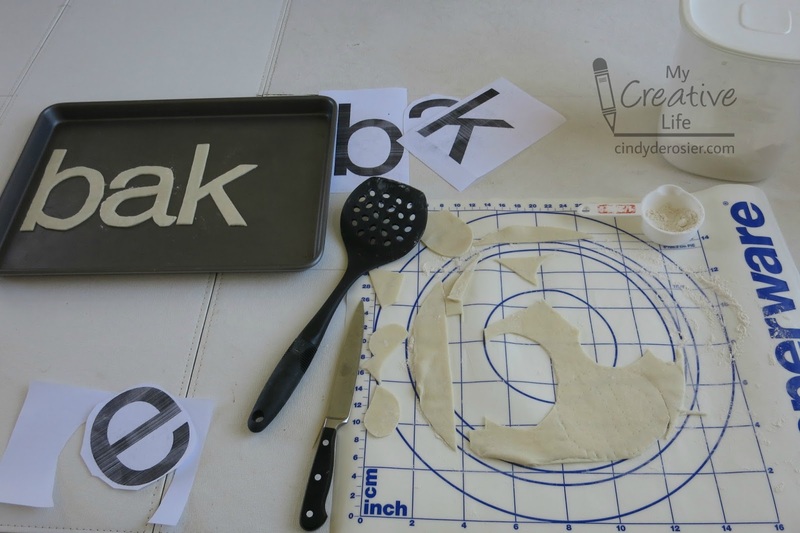 Transfer the letters to a baking sheet using a spatula. Here you can see BAK ready to bake. If you look carefully at the dough on the mat, you can see that I've already marked the E and am ready to cut it. 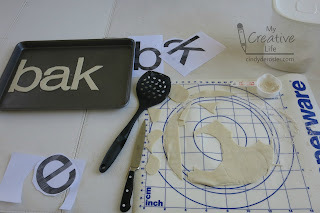 Tomorrow I'll show you what I did with the scraps of dough. Ohhhhhhhhhhh can't wait to see the rest of this!!!!!!!!!!!!!!!!!!!!! !